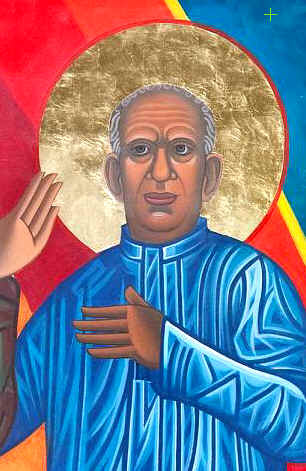 This portrait of M.M.Thomas is taken from the Ceiling of the Saint Gregory of Nyasa Episcopal Church in San Franscisco, California, United States of America from the Dancing of Saints icons. Twelve years in the making, it is a 3,000 square foot icon wrapping around the entire church rotunda, showing ninety larger-than life saints; four animals; stars, moons, suns and a twelve-foot dancing Christ.M.M.Thomas (1916–1997) A layman from the Mar Thoma Church, Kerala, Madhathilparampil Mammen Thomas was a pioneering ecumenical leader, one time chair of the Central Committee of the World Coucil of Churches , and director of the Institute for the Study of Religion and Society in Bangalore. In 1990, he became the governor of Nagaland. M. M. did the unprecedented thing of retiring to his local village, where he lived among the people and began a biblical commentary in the local language. He died traveling third class on a train from Madras. Theology. He was staunch spokesman of Ecumenical movement and a good humanitarian. based on spirituality which attracted the youth towards him. justice in political and social spheres beyond the pull of any religion. create foundation of Indian Theology. 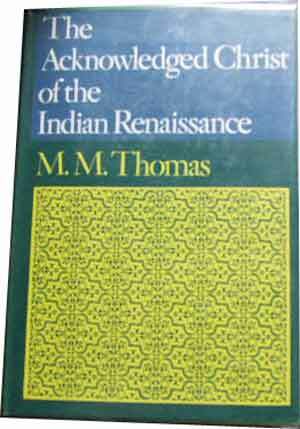 The church was greatly inﬂuenced by Dr. Thomas's writing to give land to the destitute. 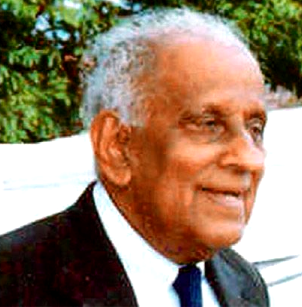 Devanandachari was an independent preacher in West Travancore who had many followers. West Travancore which later led to the establishments of many parishes. popular. He had written about the chances of Open Church in the book on Abraham Malpan. 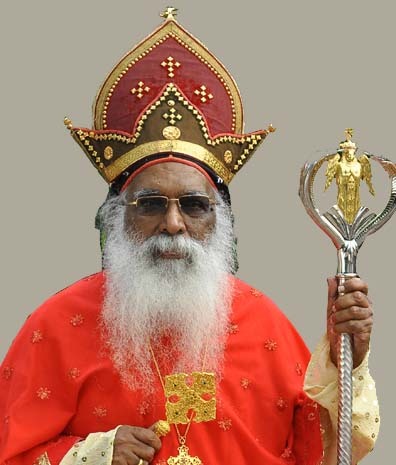 Mar Thoma Church's Ecumenical movements is priceless and will always be remembered. 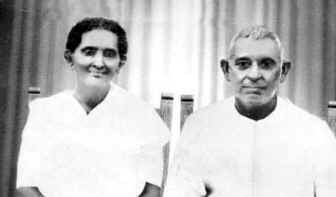 His wife Penamma, his sister Sosamma and her husband A.K. Thampi inspired Dr. M.M.